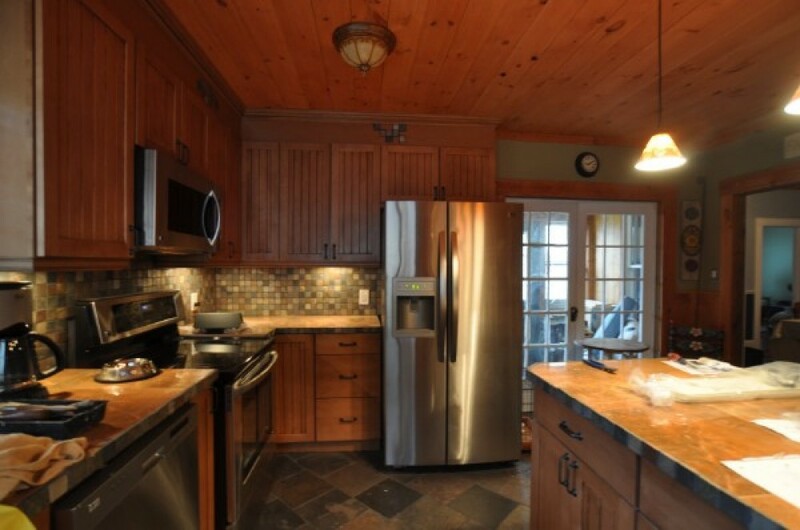 Vermont Vacation Rentals welcome you to its one of the most sought after Ludlow Vacation Homes. This W1. Main Street Home at Okemo Moutain (MS4) has gone through a renovation method in the near past. As a result, you are assured to be provided with number of facilities with no barrier. Whether you want to spend a couple of days or a week, this Ludlow Vacation Rental is the last stop for ski vacation. The gorgeous home sleeps up to 14 – 18 people at a stretch in its four bedrooms and 1 living room. Further, you can take a warm shower in the hot tub of two bathrooms. It also has a fireplace. The kitchen permits you to have continental food just by sitting at your home. All the latest culinary appliances are fitted into the one and only kitchen room. For recreation, there are many things to cherish. The wireless high speed internet, televisions with cable connection and DVD player keep you entertained all through the day. You will get panoramic mountain views right from your bedrooms. Linens are provided.